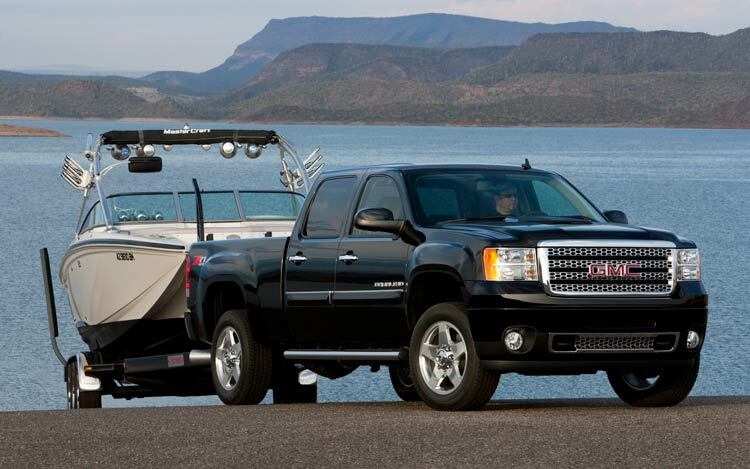 Not only does the 2011 GMC Sierra HD pickup offer the most power in its class, and a Denali trim level, but you can count another win for The General over its heavy-duty pickup competition – best-in-class towing and payload figures. The new trucks will now be able to tow 21,700 lbs in fifth-wheel configuration and 17,000 lbs with a traditional ball hitch, as well as handle 6,635 lbs of payload. The new trucks best their closest competitor – the Ford F350 – by a whopping 1,000 lbs in conventional towing, and 100 lbs in fifth wheel configuration. Based on these improved capacities, the Sierra HD becomes the most capable heavy duty pickup on the market. The trucks start production next week, and we expect to start seeing them on the lot sometime in late summer. Come on in and test them against the competition, we know you won’t be disappointed!